As a world famous electronic drums manufacturer, Roland does not fail to surprise us with the quality and functionality of its products. In this review we are going to present Roland’s TD-11KV V-Compact drum set. As a compact electronic drum set, this kit can fit smaller spaces or even be taken on the go. 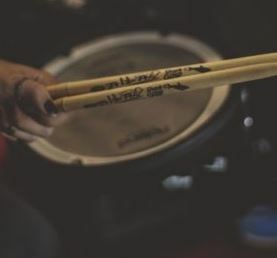 It suits drummers with any skills, from a complete beginner to a full on professional player. It is also important to mention that this electronic drum set is quite an affordable solution for budget saving. Yet, the set still provides the quality and all features you want to have in your electronic drums. Without further ado, let’s get into details! These electronic drums set provides a much more natural and realistic sound than most other products on the market. It features several different modes for practice, teaching and recording. 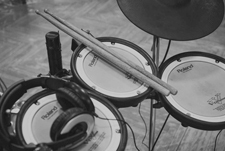 Therefore, it is suitable for new players who want to improve their drumming skills. You can either rock the drums freely or play along to one of the many professionally recorded backing songs. This feature will make you feel as if you were really playing in a band. The set also features a fairly large LCD screen where you can easily control all the settings, chose your playing mode and switch songs and sounds. This easy interface makes the drum kit very user friendly. The simple USB connectivity feature will allow you to connect the set to a computer and use different applications to alter and edit your sounds. You can also use the USB connectivity to backup your data on a computer or PC, as well as play it back in MP3 and WAV formats. 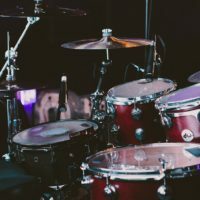 If you’re an experienced drummer, you know that the stability of the kit highly affects the quality of the sound and the overall result of your drumming. Therefore, it is important for a kit to be stable and secure at all times. Luckily, the Roland TD-11KV kit comes with a compact yet very solid stand. The included MDS-4V is actually a custom stand for the V-Compact series of Roland’s electronic drums. It is one of the most compact stands that will save you some space while keeping your drums completely stable. Besides the compact and secure stand, the kit features a stylish design that will nicely suit and room’s interior. The center of the kit is a joint bar that strengthens the whole setup and improves overall stability. 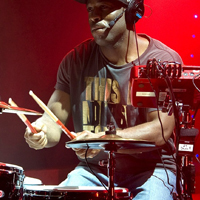 The Roland TD11KV electronic drum set features the SuperNatural TD-11 drum sound module. This highly advanced module provides natural and realistic sounds as well as great features for overall playability. The set features mesh-head V-ads for snare and toms, as well as great V-cymbals and the CY-5 cymbal pad for hi-hat. The cymbal pad features a highly responsive 10 inch playing zone that allows for natural swing movement and a more realistic drumming experience. 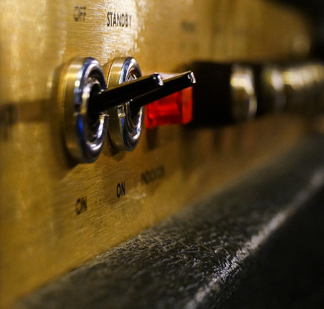 The set also includes the FD-8 Hi-Hat controller that is in charge of providing smooth transitions and making the hi-hat sounds more realistic and professional. The great design of the kick pad provides a natural feel, just as if you were playing a real, full drumming set. The kick pad is perfectly designed to provide a dynamic response at the right time. It ensures accurate triggering and provides a great drumming experience overall. The set also performs well when it comes to edge triggering. Unfortunately, it does not include a kick pedal and a drum throne, which are necessary to complete the setup. Therefore, you will have to make that extra purchase but considering all the features and benefits of the set, it is well worth the money! In general, the set is very easy to set up and you can do it in under a few minutes if you follow the instructions clearly. Therefore, you don’t have to worry if you haven’t owned a drum set before. 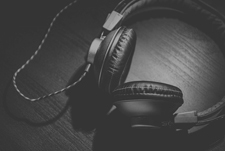 The sound module includes a diverse library with a variety of sounds coming from different musical genres. Therefore, there is something for everyone within the library of the set. This set features a special practice mode. This includes a quick record/quick play feature that allows you to replay your sound and focus on the quality you’re creating. It also includes a Coach function that will help you build your drumming skills to a professional level. 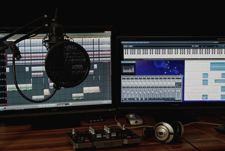 As a beginner, you will also want to start learning about editing and altering your sound to create more professional-like results. With the simple USB connectivity feature, you can connect the Roland TD-11KV and transport your sounds to your PC, where you can further edit them in sound programs and applications. All together, this electronic drum set from the V-compact Roland series provides everything you need for a professional drumming experience. The set is compact and it won’t take up much space at your home. The stable stand will ensure the best sound quality while the SuperNatural sound module and other pieces of equipment will do the rest. Overall, this is a highly responsive drumming kit that provides a natural feel, featuring a great design and convenient practice features for beginners.